When I was a regular traveller on the West Coast Main Line, the UK’s busiest long-distance rail route, I would keep a careful lookout for the two loops of track either side of the line just north of the England-Scotland border. They marked, I would tell more or less interested travelling companions, the site of the UK’s worst-ever rail disaster. A lesson in negligence: a carriage burns at Quintinshill. On May 22, 1915, a mistake by signallers led a southbound troop train to collide at Quintinshill, in Dumfriesshire, with a stationary northbound local stopping train that had been shunted into its path. A northbound express train, which the local train had been moved aside to let pass, then collided with the wreckage. The crash and a fire on the troop train – whose carriages were wooden and lit by gas lamps – killed an estimated 226 people. The burning of the soldiers’ regimental roll in the fire means the death toll has never been precisely known. The disaster has been in my mind the last few days because of a debate following a crash in Williamsburg, not far from where I currently live in Brooklyn. On Friday morning, a bus driver negotiating a corner apparently drove through a crosswalk as Jiahuan Xu, a 15-year-old girl, was crossing with the right of way. The bus hit her and trapped her leg, which she’s likely to lose. The driver has been charged under road safety legislation passed last year with hitting a pedestrian who had right of way in a crosswalk. The incident is linked in my mind with the far more serious incident at Quintinshill because it was through reading about the rail disaster as a child that I first encountered the idea someone might face criminal charges for negligence at work. The Scottish courts in 1915 jailed both George Meakin and James Tinsley, the two signallers whose negligence led to the crash, for culpable homicide – manslaughter, in English legal terms, negligent homicide, in US parlance – and breach of duty. I've been surprised, nearly 100 years on, to find that neither New York’s main transport union nor a group of city council members seems fully to support a principle to which I'd assumed pretty much everyone assented. 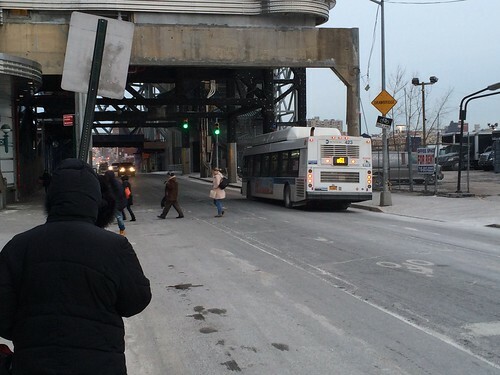 Last Thursday, the council members - Daneek Miller, Peter Koo and Donovan Richards – introduced an amendment to New York’s right-of-way legislation – introduced only last year - to exempt bus drivers. Reginald Prescott, another bus driver, in December became one of the first people charged under the law after he killed Jean Bonne-Annee with his bus in East Flatbush. Then, on Friday, John Samuelson, president of the Transport Workers’ Union Local 100, protested after the arrest of Francisco de Jesus, the driver who hit Jiahuan Xu, that his members had a difficult job and it was unreasonable to hold them accountable. “To arrest an operator for an unintentional accident is really just absolutely outrageous, illogical and anti-worker,” Samuelson said. Samuelson’s view probably reflects many people’s feelings about prosecutions for dangerous driving. In the UK, juries are notably reluctant to convict drivers – probably on the grounds that they feel just such an incident could easily befall them. In November, Cyrus Vance, district attorney for Manhattan, explained his failure to bring more than a handful of prosecutions over road deaths to their being “accidents,” not results of criminal negligence. “What should be criminal and what shouldn’t be criminal is obviously subject to very subjective and emotional reactions,” Vance told Aaron Naparstek, a safe streets activist, at an event in November. Nevertheless, the principle that negligence can be criminal seems to me pretty clear from the Quintinshill case. The mistakes started with an unacceptable piece of risk-taking. To save themselves a mile-and-a-half walk from Gretna, the nearest station, the signalmen would occasionally, when starting work at 6am, take a local train to Quintinshill and get out as it was being shunted out of the way of the express. Because the train arrived around 6.30am, whichever of the men had been working overnight would write down train movements after 6am on a scrap of paper. The new man would write them in the official logbook in his own handwriting, to disguise the late start. On the morning of the disaster, the filling in of the logbook so distracted the men that they forgot to place locks on the appropriate signal levers to remind them the local train was blocking the main line and prevent their letting a train onto the track. They also neglected to warn the next signalbox north that the main line was obstructed. One of them, forgetting about the local train’s presence, then accepted from the next signal box north the southbound troop train, setting off the calamitous sequence of crashes. Meakin and Tinsley must have safely accepted trains from neighbouring signalboxes hundreds of times. They had no more intention that morning of causing a catastrophe than any of Mr Samuelson's members ever does. It is certainly true that the Caledonian Railway could have fitted better safety equipment at Quintinshill. The fire would probably have been less serious if the carriages had not been wooden and gaslit. The fireman of the halted local train was meant to check the proper safeguards were in place but failed to do so. obligation to exercise due care. Yet, even as an 11-year-old, I came to realise after some initial reluctance that the men’s attitude was so cavalier as to be criminally culpable. Tinsley was sentenced to three years’ hard labour in prison, while Meakin was sentenced to 18 months’ imprisonment. No mysterious force prompted the signallers to make their errors. They acted with casual disregard for their responsibility for the fates of the hundreds of people moving about on trains around them. Bus drivers, thank goodness, have never unleashed a catastrophe on the scale of Quintinshill and are unlikely ever to do so. Few probably make a string of decisions as poor as those of the Quintinshill signal workers. But they have just as sure an obligation to move their buses only when it is safe to do so as James Tinsley had an obligation to accept a southbound train only if the track was clear. Although Nicole Gelinas, a transport expert, has since put a kinder construction on events, initial accounts suggested de Jesus was turning fast through the crosswalk when he struck Jiahuan. It was no more inevitable that the bus would move through the crosswalk that than that someone at Quintinshill would ring the bell to tell the neighbouring signalbox to allow the troop train to proceed. His union insists that de Jesus had a good safety record. That may well be true – but I on my bicycle, drivers in their motor vehicles and anyone whose actions could harm another has a responsibility to exercise reasonable care every single time. Bus drivers in New York City have difficult, complicated jobs. 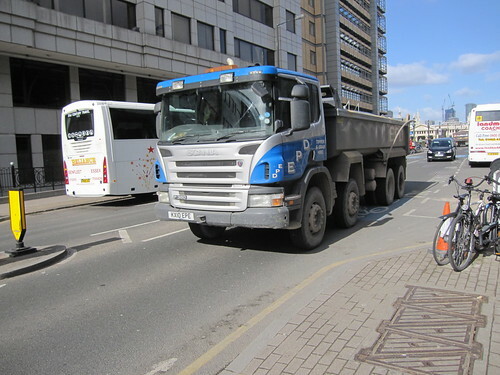 But it is symptomatic of many drivers’ faulty assessment of the causes of street dangers that John Samuelson, president of Transport Workers’ Union Local 100, complains the police aren’t getting pedestrians out of his members’ way. That assessment flies in the face of the multiple pieces of research that show drivers cause the big majority of crashes between motor vehicles and pedestrians and cyclists, not the other way round. "They navigate incredibly difficult streets loaded with pedestrians, and they do this without any enforcement on the pedestrian end of things,” Samuelsen told the New York Times. Another union representative, JP Patafio, portrayed bus drivers as nearly helpless victims of circumstance on the roads. That view is hard to square with the fact that, according to Transportation Alternatives, the pressure group, eight of the nine pedestrians who died under New York City buses last year were hit when in crosswalks, crossing with the light. This is not, of course, to say that transport workers are automatically to blame whenever there is a crash. The High Court in Edinburgh acquitted George Hutchinson, fireman of the local train at Quintinshill, of culpable homicide and breach of duty on the grounds that he bore relatively little of the blame for the incident. Bus drivers are frequently involved in crashes for which they’re not responsible. Perhaps, as Nicole Gelinas suggests, de Jesus will be acquitted. Drivers should expect public sympathy and gratitude after being involved in incidents they did not cause, not blame. There are also many different degrees of negligence - and it may well be that de Jesus, if he was negligent, was guilty of only a momentary lapse. Negligence, meanwhile, lies at the lower end of a scale of motor vehicle misuse that runs from inattention, to recklessness and can stray into acts most people would regard as terrorism. But it is a piece of the purest cynicism – reminiscent of that of Ray Kelly, the former NYPD commissioner, who suggested “accidents” were inevitable – to suggest crashes are an immutable fact of life. The evidence from everywhere that has made a systematic effort to improve transport safety is that dramatic improvements have been possible. 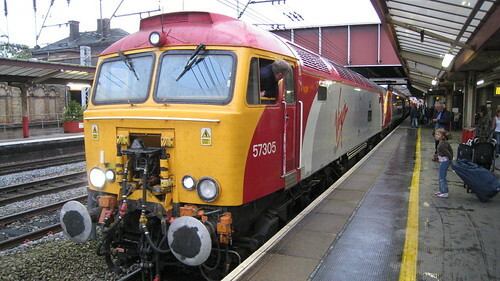 On the UK railways, for example, there has been only one passenger fatality in an incident caused by the rail system since 2002. The UK’s speed camera programme and other improvements helped sharply to reduce the number of road deaths before politicians grew nervous of continuing with it. Scores more people in the UK are leading productive lives and enjoying their families’ company than would be doing so if rail safety regulators or local authorities had shrugged and accepted the “law of averages”. It also makes a mockery of the conscientious efforts of careful bus drivers, rail workers and ordinary citizens who act safely to pretend that the actions of the negligent are inevitable. The highest stakes, after all, are not those that confronted Meakin and Tinsley – who both went on to live until after the second world war – or de Jesus, whose right-of-way charge carries only a $250 fine. They are those confronting the passengers, pedestrians and others whose bodies are at risk of mangling beneath or inside negligently-operated trains, cars and buses. The consequences can be out of all proportion to the sometimes momentary negligence responsible. At Quintinshill, the soldiers of the Royal Scots, trapped in the wreckage and burning alive, are said to have begged their officers to shoot them to ensure a less painful death. On the street in Williamsburg, meanwhile, Jiahuan Xu grasped the hand of her father who came to comfort her and spoke to him in Chinese. “She grabbed my hand and said, ‘Dad I felt pieces of my ripped up leg,’” her father, Jingxiang Xu, told CBS News. It was far from being the most dignified manoeuvre I’ve ever made on a bicycle. Around 9.25am on January 29, as I rode to work down Prince St in lower Manhattan, I heard a garbage truck approaching me from behind, its driver blaring the horn. Since the bike lane was still full of snow and I was in the middle of the street’s single travel lane, I was immediately in the vehicle’s path – and fearful the driver wouldn’t stop before hitting me. I pulled over into a clear patch of the bike lane, jammed on my brakes and apologised to the cyclist following me for pulling across her path. The garbage truck careered past. The next morning, chastened by my experience and with fresh, light snow falling, I decided to mix with motor vehicles as little as practicable, to ride over the Brooklyn Bridge, through TriBeCa and up the Hudson River Greenway, which had been well cleared of snow the night before. But, when I pulled onto the Greenway, I found there had been no new treatment following the light overnight snow. I rode very gingerly uptown, worrying that the layer of slushy slow would cause my tyres to lose their grip. The two experiences encapsulated the challenge that even I, a fairly hardy cycle commuter, face when trying to get around a city by bicycle, especially in winter. I need a network of viable routes I can follow to get places. I’m more likely than many people to regard a route that includes jostling with motorists or that isn’t marked as a bike route “viable”. Yet people unused to city cycling or in areas with poor infrastructure probably spend most of the time feeling the way I do when there’s snow and ice about. It’s as if the subway offered a choice of only highly circuitous routes or routes that stop every few blocks and required one to walk. The realisation explains a fundamental disconnect I’ve noticed in perceptions of New York’s efforts to boost cycling. I regularly hear from cyclists in other places – particularly London – who’ve seen pictures of New York’s flagship cycle infrastructure projects and been impressed with the city’s apparent commitment to boost cycling. Few accept my reply that, since only 1 per cent of commuter trips in New York are by bicycle, the efforts are at least partially failing. “At least it’s better than we’ve got here,” they tend to reply, gazing longingly at pictures of the Prospect Park West bike lane or Allen St. Still fewer correspondents contacting me from London accept my follow-up point. Although London currently lacks many showpiece, well-designed facilities to match the best in New York, I point out, 4 per cent of commuting trips in London are by bicycle. There is clearly some aspect of cycling policy in London – bedevilled as it has been by a lack of boldness and a reliance on dubiously effective road markings – that has proved vastly more successful than New York’s approach. The question is what’s making the difference. The answers, of course, don’t lie entirely in road layout. 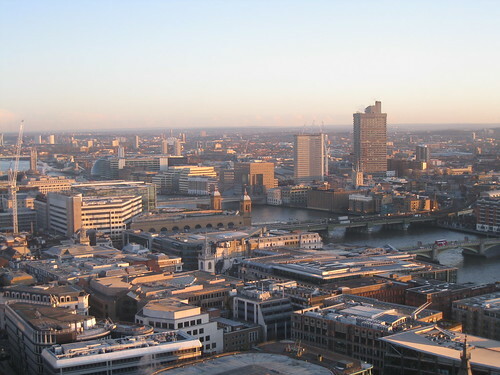 London has, for example, the Central London congestion charge, which over the last 12 years has sharply cut the numbers of vehicles entering Central London daily. Thanks partly to Sheldon Silver – the recently-disgraced former speaker of the New York state senate – New York lacks such a mechanism to keep through traffic out of lower Manhattan. Public transport in London is also far more expensive than in New York, making a switch to cycling far more attractive financially. London’s streets are, in addition, far safer than New York’s, even if that’s damning London with faint praise. For 2013, the last full year for which figures are available, there were 294 road fatalities in New York, which has a slightly lower population than London, including 168 pedestrians and 10 cyclists. In London in the same year, there were 132 road deaths in total, including 65 pedestrians and 14 cyclists. London’s far higher cycling rates make it clear that it’s a far safer place to ride per mile travelled than New York. Yet one of the biggest parts of the answer, I’d suggest, can be found in thinking about the fate of the Boeing 747. The jumbo jet, hugely successful though it has been, faces phasing out at least partly because it was designed for an era when airlines sought consistently to operate “hub-and-spoke” services, feeding traffic from around a given region into a hub. Passengers would be transferred at those hubs onto long-haul flights on airlines’ hyper-efficient 747s. The jumbo is suffering partly, analysts say, from improving efficiency - the biggest 777 aircraft can carry pretty much as many people with just two engines. But it is also losing out to aircraft such as the Boeing 787 and Airbus A350 that can fly long distances but are far easier to fill up. It’s much simpler with such aircraft to offer passengers direct flights from the city where they’re starting out to the city on another continent where they want to go. It turns out passengers don’t crave the excitement of running to transfer between flights at big hub airports, worrying whether their baggage is being treated with the same urgency. There's a growing preference for going the lowest-stress, most direct route. New York, I’d suggest, has done an excellent job of sorting out a few key hubs for a network – protected lanes up Allen St and along Sands St sorting out some of the trickiest approaches to the Manhattan Bridge, for example. 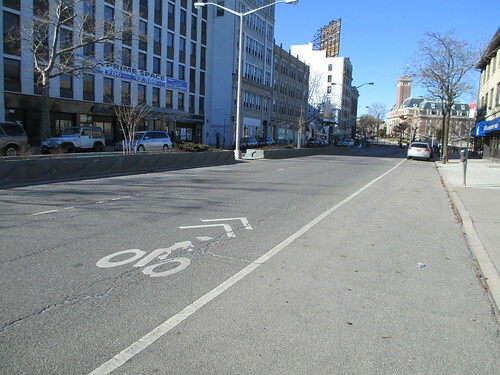 There’s a protected bike lane along Prospect Park West funnelling cyclists through Park Slope. There are bike paths along parts of the two sides of Manhattan. New York has provided the Atlanta-Hartsfield or London Heathrow type hubs and some of the routes that link them. But the system features too many disconnects – too many frantic dashes across the system’s gaps – to offer a full range of comfortable, point-to-point journeys. 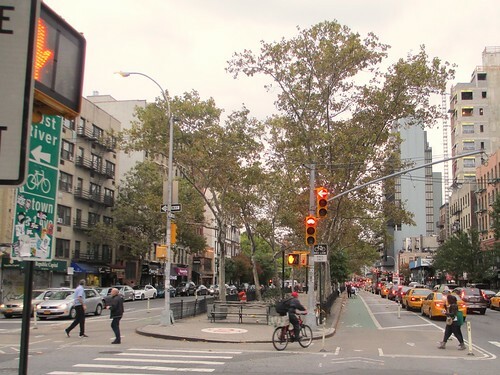 First Avenue’s bike lane – often praised as a good example of recent improvements – disappears suddenly for 10 blocks (or half a mile) between the United Nations and 59th Street, pitching cyclists into chaotic motor traffic climbing towards the Queensboro Bridge. Worse still, anyone who has successfully cycled to the Upper East Side and is wondering how to head south again will find not even a painted bike lane for more than three miles on 2nd Avenue between 100th St and 34th St. The 8th Avenue bike lane disappears for five blocks around the Port Authority Bus Terminal, the chaotic point on the trip where cyclists are most in need of protection. The 9th Avenue bike lane disappears for a couple of blocks around Penn Station. There are more. this look like part of a network to you? 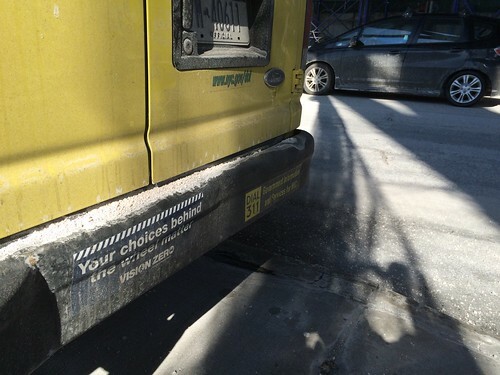 Instead of a network, New York has built a series of sections of bike lane, with noisy objections to the loss of parking or some other complexity keeping the sections all too often separate from each other. The regular changes in colour of the routes on the city’s bike map – indicating a change from a protected lane to a painted lane, to mere “sharrows” then back – are testament to New York officials’ weakness in the face of noisy, local protest. Perhaps the emblematic failure relates to the Hudson River Greenway. 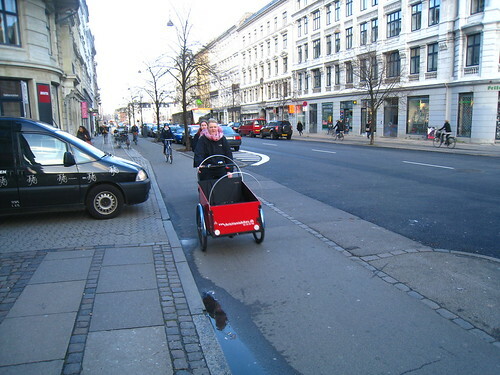 It’s one of the safest, most comfortable to use bike facilities in the city. 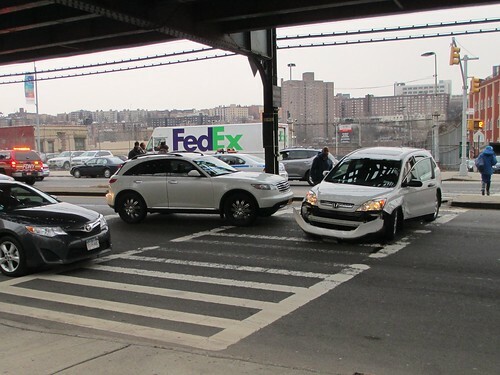 But nearly every means of accessing it south of 59th St involves a suicidally dangerous manoeuvre amid lines of fast-moving cars seeking to reach the West Side Highway. It’s little surprise that, presented with confusing routes that disappear in the most dangerous places, relatively few New Yorkers are taking up the invitation to start cycling. When I lived in London, by contrast, my head was full of the routes – often complex and roundabout, admittedly – of the London Cycle Network. The LCN – now out of fashion, since its introduction was overseen by Ken Livingstone, the former mayor - follows routes mainly along back streets across the city. It is so comprehensive that, by the time I left London, I could do 30-mile round trips on it without consulting a map. London’s existing Cycle Superhighways – appallingly designed as most are – at least seek to provide routes that take people to places. Both reflect what seems to me a greater tendency on the part of London’s planners than New York’s to think in terms of routes, not isolated projects. This week’s decision by Transport for London, the London mayor’s transport body, to go ahead with a comprehensive network of segregated bike paths should make the position far, far better. Unlike New York’s rather disjointed system, they should act more and more like the most efficient networks – like metro systems that draw commuters in from distant suburbs into heavily-used, highly-efficient core areas or express parcel networks. Such networks’ strength is their comprehensiveness – well-planned new metro lines generate disproportionately high numbers of journeys because they unlock new point-to-point journeys both on the existing network and the new line. London’s networks, at least in theory, aim to provide a reasonably consistent journey for a high proportion of the trips in the city that are possible by bicycle. Not, of course, that the simple dichotomies are the whole story. 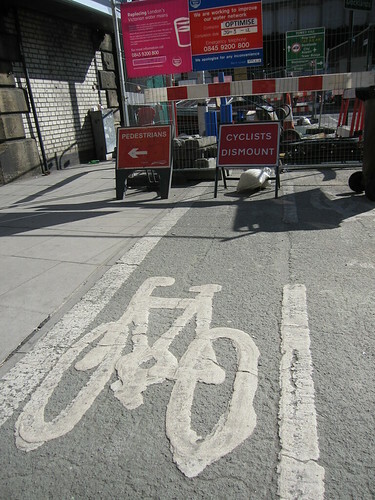 London’s cycle planners are, I know, prone to some of the same shortcomings as those in New York. I so despaired when I lived in London of the dire quality of much of the existing cycle infrastructure that I preferred an approach that sought to make onroad cycling safer. The roundabout, backstreet routes I often used are so circuitous that many simply won’t use them. In thousands of rides past South London’s busy Elephant & Castle interchange, I took one of the avoiding routes off the main roads every single time. 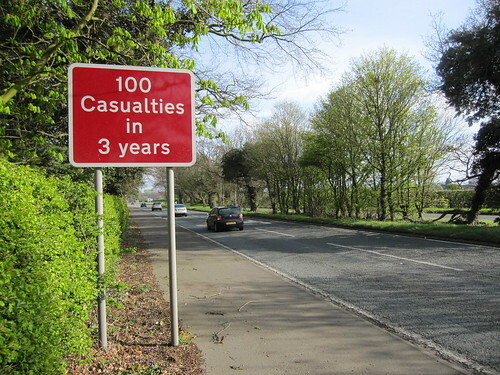 To many other people, that route is so painfully slow that they prefer the main roads, where there are regular deaths. New York’s project-based approach has at least improved some of the biggest barriers to cycling, even if it has always joined the bits together. I find the experience of mixing with fast-moving traffic on multi-lane New York streets sufficiently scary that I welcome any relief from it. I also understand, given the challenges of getting anything meaningful done in New York, why Janette Sadik-Khan - the city’s former, much missed, transportation commissioner – focused so hard on some flagship projects. The projects have proved resounding successes – had she sought to turn the projects into perfectly-realised networks, she could easily have become bogged down in the bureaucratic malaise that seems to have swallowed Polly Trottenberg, her well-meaning successor. Nevertheless, New York currently risks, it seems to me, watching from the sidelines as London’s new network of protected routes turns the city’s existing provision into a still more successful network. It’s hard to imagine New York’s achieving anywhere close to its target of having 6 per cent of trips by bikes by 2020 until it starts taking the challenges of providing a real network seriously. Ms Trottenberg may be about to start tackling the issue in earnest, even if her department's record of retreat on markings for "slow zones" suggests otherwise. But the history of the Bleecker St – Broadway-Lafayette station on the New York City subway is a stark reminder that such changes don’t happen on their own in this city. The city’s IND subway network built Broadway-Lafayette station in 1936 immediately under Bleecker St station of the Interborough Rapid Transit Corporation. In 1940, the city subsequently took over the IRT and its rival BMT subway, forming them with the IND into an allegedly unified system enjoying the benefits of being a single network. Yet it was only in June 2012, after I arrived in New York, that a full connection between the two stations – which had sat immediately adjacent to each other for 76 years – was finally opened. If New York is serious about encouraging more than a hardy band of souls to cycle round the city, changes to its cycling infrastructure cannot possibly take that long.